Because our client purchased their home only 2 years earlier, the primary intention of this project was to better their day to day life as opposed to maximising return. This was certainly achieved, as a lovely open plan kitchen, dining, and living area was created at the rear of the property which was perfect for entertaining guests or socialising with family. This project was carried out under householder planning permission which was granted on 20th August 2018. 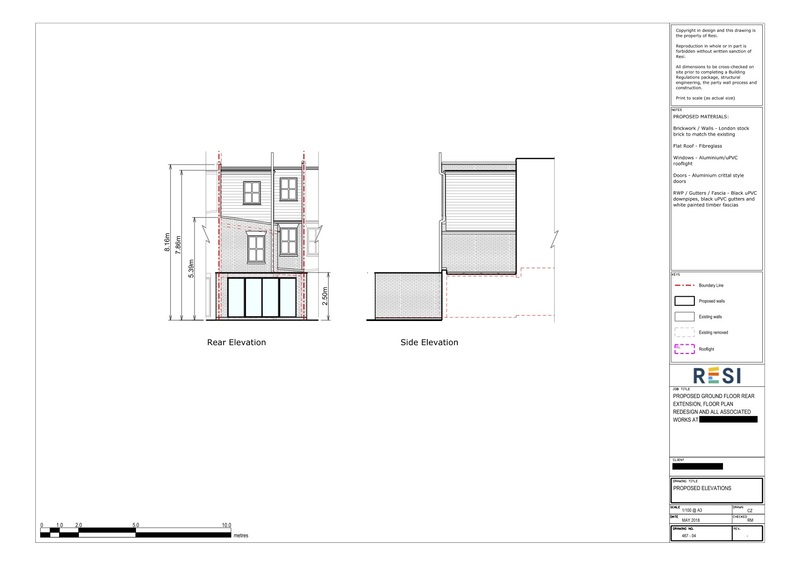 Our client was looking to build a ground floor rear extension onto their two storey home in South London, with the aim of maximising the use of the property and the space available, with the point of adding value being a secondary concern. 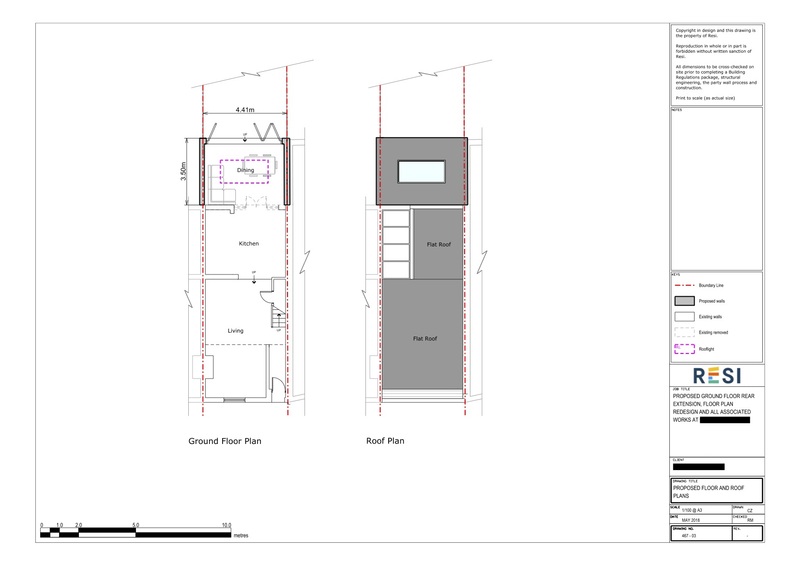 They were looking to extend the existing kitchen into the garden to create additional space for an open plan kitchen and dining area. They wanted this new extension to be filled with plenty of natural light. I extended the property out towards the rear and removed the external wall, in order to create ample space for an open plan dining, living, and kitchen area. In order to ensure this room received lots of natural light, I added aluminium crittal style doors to the rear, and a large rooflight above the dining room. These provided a lovely transition from inside to out.